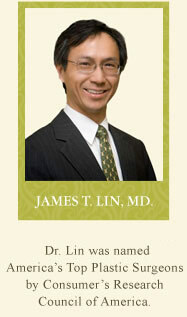 Meet James T. Lin, M.D. Dr. James T. Lin is a Board Certified Plastic and Reconstructive Surgeon who is skilled in both cosmetic and reconstructive surgery. 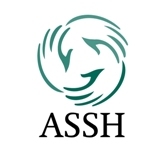 He is an active member of the American Society of Plastic and Reconstructive Surgery (ASPS). Dr. Lin graduated from Cornell University and received his medical degree with distinction in research from SUNY at Stony Brook. He did his General Surgery and Burn Surgery training at SUNY at Stony Brook. He then completed his Plastic Surgery Fellowship at Nassau County Medical Center. He continued his education at Manhattan at the world-renown Institute of Reconstructive Plastic Surgery at New York University Medical Center where he completed Hand Surgery Fellowship. He held an assistant professorship at New York Medical College until 2001 when he moved to warm California to open a private practice in Elk Grove. Dr. Lin is devoted to his wife, and three daughters that include a set of twins. He enjoys baroque music, acrylic painting, bird watching, tennis and organic gardening. "We believe people are wonderfully made with unique beauty and goodness. Unfortunately, these qualities are often diminished or marred by illness, trauma, weight gain or loss, aging, congenital deformity, or tragedies of life. Our mission is to empathize with people who experienced such setbacks, and try our best to restore, improve and enhance the full potential of each person."